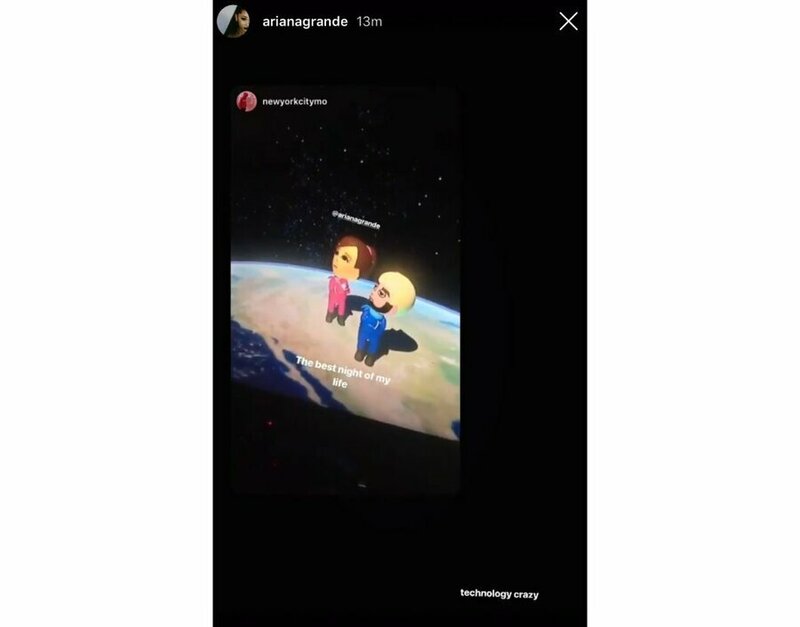 Following her Nintendo Labo collaboration with Jimmy Fallon and The Roots (see video above), American singer, songwriter and actress Ariana Grande appears to have acquired her very own Switch. The only problem is, she had to sort out a few things before she could enjoy Mario Kart 8 Deluxe with a friend who was in another location. While it's not exactly mind-blowing a famous person is playing Mario Kart on the Switch, it helps reinforce the fact that this has been an incredibly successful generation for Nintendo so far. Last week, Cristiano Ronaldo - the famous Portuguese football player - tweeted a picture of himself wearing a Super Mario Odyssey hat to his 75 million followers, and not long ago, American singer Lady Gaga was spotted tweeting about her love of Bayonetta to her 77 million followers. All of this is a reminder of just how far Nintendo has come since the Wii U generation, which was an uphill battle from the very beginning. Now the company has some of the most famous people in the world actively tweeting about the Switch to millions of followers. Surely it will translate to even more sales success for the system over time. I’m sure @Anti-Matter has had a few disconnections while playing his Switch. Why don’t you give him an article on that? Personally, I'd have just used Google to figure out the answer, but that's just me. @ReaderRagfish Celebrities don’t use Google. It’s too “high-tech”. @ReaderRagfish: What is this "Google" you speak of? Sounds like one of those new hipster devices. Very happy with Nintendo right now....and the BEST stuff for switch is yet to come(we've had some great games so far), that's the beauty of it! Talk about being an unresourceful, non-self sufficient idiot. @KromCompany that's basically what most celebrities are. Their only good at one or 2 things and common sense escapes them. @KromCompany talk about free publicity for Nintendo. @LUIGITORNADO For a second can we look past the idea of free publicity and just look at how stupid celebrities are? TBH, I would pay to see @AlexOlney interview @Anti-Matter. Instead of focusing on the success of the switch in this article, why not focus on the fact that Nintendo has made playing with a friend online so unintuitive that she called out to fans for help? And to top it off this clunky, unintuitive and limited service is now subscription based!? I wanna know if Elton John plays the LABO piano! Love it that so many people enyoing the switch! Not for us in the know, but think of the layman, Nintendo. Perfect example of the normie audience not understanding they need to pay a stupid premium to play online. Take notes, Nintendo. Regular people buy online games expecting to play them online. @FTPinkRabbit I still find it disgraceful that console makers think it's okay to charge us for the very thing we already pay for in the first place. You don't need to pay a fee to go online with any other devices. Just games consoles. Funny that. @KingdomHeartsFan My mom is old. Ariane grew up with this technology because she is around my age. 1. The singer is not stupid. There is no need for people to know everything. 2. The online aspect and even the friend code system is fine. Could be a little better? Yes. It's not bad, though. To the people mocking celebrities asking twitter questions. If you had millions of people hanging off your every word on twitter you'd ask twitter rather than google. Especially for more technical questions in areas you're not an expert on. It might highlight the popularity of the switch but it also highlights how shambolic the promotion and execution of the online service has been. @KromCompany The point I'm trying to make, is that being famous doesn't equate to the inability to do something that you can. Some people simply don't know how something works because they don't have the experience with it. I would like you to consider that before you personally insult others. Justin Bieber has been pictured playing the Switch too...it helps sell! Nintendo may send them for free. @Mrtoad I think he should write an article every week! "The things that matter...with @Anti-Matter. This week - the lack of six packs in kid friendly games"
.....Yeah, why did this need an article? And not long ago, American singer Lady Gaga was spotted tweeting about her love of Bayonetta to her 77 million followers. This normally wouldn't matter to me, except she started tweeting about Bayonetta on the day I finished playing through both games! I kinda hope Platinum asks her to sing something for Bayonetta 3. Geez Louise, everyone is so mean to Anti-Matter. I mean, I get that he can be annoying sometimes, but gosh. How about we ask how arrogant gamers are? 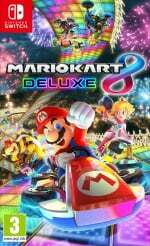 I know a handful of people who enjoy Mario Kart, but would need to ask for help to play online with a friend. That doesn’t make them stupid. @MH4 He attacks people all the time. @MH4 I blocked him. All I'm trying to say you treat people how you want to be treated. @KingdomHeartsFan i know full well she can't. well, i mean its surprising she hasn't ended up on the news for murder or assault given how many knives she throws at people but thats an entirely different kind of fame. @youngspark91 i never said it was exclusive to celebs, its just that celebs are more on a pedestal then the common person and cannot exist without being judged. @Kimyonaakuma 😂 That is so something he would say! As the article points out, Nintendo have come a long way since the last gen at getting the rich and famous to buy their consoles and games. How many celebrities mentioned owning a Wii U? Wow this place is full of SJW's from the last time I have posted here. A famous person play Switch, then Switch must be good. Also, NL forgot to mentioned Stormy Daniels and her book about Toad from Mario Kart. Now even Trump knows MK. @Metalslime Like the other Consoles?? Dear God, she writes like a 6-year-old learning how to type. Use grammar when you write, boys and girls. You'll appear much more intelligent. @KingdomHeartsFan "You don't need to pay a fee to go online with any other devices." There are these other slightly popular devices called Xbox and Playstation that also require paid subscriptions to play online. Their subscription services are actually more expensive than Nintendo's. @bilboa Go back and read the rest of my comment. @KingdomHeartsFan I apologize for my snarky comment. Somehow I missed that you were talking about all consoles, not just the Switch. Plus there was no need for me to be snarky like that anyways. I shouldn’t post while half asleep. Friend codes are stupid, they really should get rid of that antiquated system. However I already knew Ariana Grande was a gamer, she got an entire cross promotion of her being in final fantasy brave exvius on mobile supposedly she is a massive whale player in that game. I respect fellow gamers, and while I didn't like the collab I think it's cool that she's a gamer. @bilboa Don't worry about it. These things happen. The celebrities question only magnifies her lack of desire to be a jack of all trades and master of none, as so many people seem so strangely proud to be today.